The continued presence of sargassum seaweed (a.k.a sargasso, sargazo) on the beaches of Mexico continues to be a concern to many travelers. For those wondering what their experience will be like on their upcoming vacation, we invite you to read more about the problem and how local authorities, hotels, and students are handling the situation. Sargassum is a brown seaweed with buoyant, oxygen-filled bladders that keep it floating on the surface of the water. It can clump together in huge masses, often miles long, and has been known to wash up on the shores of beaches along the Caribbean coast from the United States all the way to Argentina. As reported in our post “Mexico and Mother Nature – What you Need to Know 2015“, the sargassum occurrence — which has many ecological benefits — is not dangerous nor continuous and often unpredictable. One week there may be large mounds of seaweed heaped on the beaches and obscuring the translucent sea, while others the beaches are perfectly clean. Many hotels are taking measures to provide clear beach access through clearing the seaweed and removing it from the beach, while others are unable or unwilling to do so due to a lack of human and financial resources, an unwillingness to alter naturally occurring patterns or long-term concerns that the seaweed will actually protect and enhance their beaches. The seaweed accumulation has been most prolific on stretches of exposed beach and less noticeable in areas that are protected by natural headlands, bays, or coves. Read more: What You Need to Know about Sargassum Invading the Caribbean. Floating sargassum rafts provide a wonderful natural habitat for many sea creatures. According to the National Oceanic and Atmospheric Administration, fish, sea turtles, marine birds, crabs, shrimp, and more all call this floating island home. There are more than 300 different species of sargassum including sargassium muticum (more commonly known as Japanese wireweed), and sargassum horneri (also known as devil weed). The Sargasso Sea is the only sea in the world without a land bordering it and, as you might expect, is home to large swathes of floating sargassum seaweed. The sea itself was reportedly discovered by explorer Christopher Columbus and his crew who crossed it in 1492. In 2018, Quintana Roo businessman Omar Vázquez Sánchez made good use of the local sargassum build-up when he built an earthquake- and hurricane-resistant home from a mixture of sargassum and adobe. Check out the Sargassum seaweed map below to see which parts of Mexico have been affected. We’ve contacted the hotels across the Caribbean coast in Mexico for updates on the sargassum situation. We will continue to update this list, as and when we get new information. April 12, 2019: The truth is we don’t have any seaweed today! There is just a little remaining from a few days earlier when there were some strong winds (usually winds from the north are the ones causing the seaweed issues). As of today, everything is a lot better. As always our team get out on the beach first thing in the morning and make everything look amazing. April 8, 2019: Casa Malca is pretty lucky at this point. The level of seaweed we have is very low. Of course, it depends on the weather condition of the day. In case of appearance of the sargassum at the beach area, our staff clean the sand and recollect the sargassum manually early morning, so our guests can enjoy the beach. Usually, all the sargassum reach the sand area and do not float in the sea, it give us a privilege to have our beach and water clean and clear. 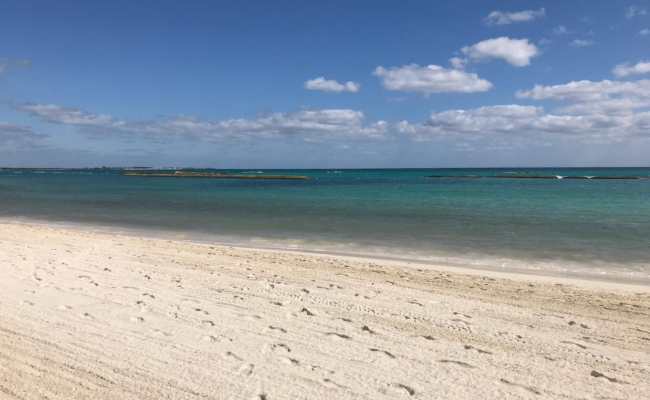 April 11, 2019: On a day-to-day basis, our expansive white-sand beach remains clean and beautiful. On-shore trade winds and choppy weather conditions can result in a small bit of sargassum seaweed on our resort’s shoreline. While the seaweed can reach the shores of our resort at various intervals, we have a team of dedicated staff continuously removing it as it accumulates and cleaning the beach every morning to ensure that our oceanfront remains pristine. Our guests continue to enjoy our beach facilities, amenities, and sparkling ocean views. April 8, 2019: Currently we have very little sargassum, it is a natural phenomenon, but atypical, for this reason there are no precise monitoring or forecasts. Sargasso naturally helps in the conservation of beaches, so for ecological reasons on the island it is not allowed to be removed completely, not even to clean and collect it in bags so, at the hotel, we choose to move it from the guest area to a space where it does not look bad and impede the enjoyment of our beaches or violates the environmental care laws of the island. 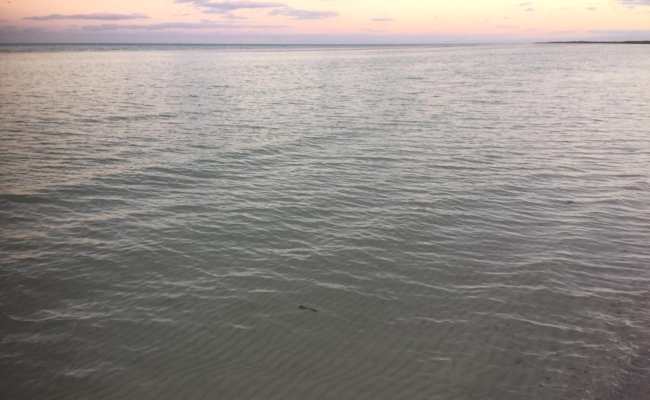 April 9, 2019: The beaches of Holbox are not normally affected by sargassum since they are located very north of the Yucatan peninsula. The sargassum islands are swept by the Gulf Stream into Miami before they reach our shores of Holbox, only on occasions where the currents change [because of a] storm is when small amounts of sargasso usually arrives at the island. April 10, 2019: Currently, we have very little sargassum, it is a natural phenomenon, but atypical, for this reason, there are no precise monitoring or forecasts. Sargasso naturally helps in the conservation of beaches, so for ecological reasons on the island it is not allowed to be removed completely, not even to clean and collect it in bags so, at the hotel, we choose to move it from the guest area to a space where it does not look bad and impede the enjoyment of our beaches or violates the environmental care laws of the island. 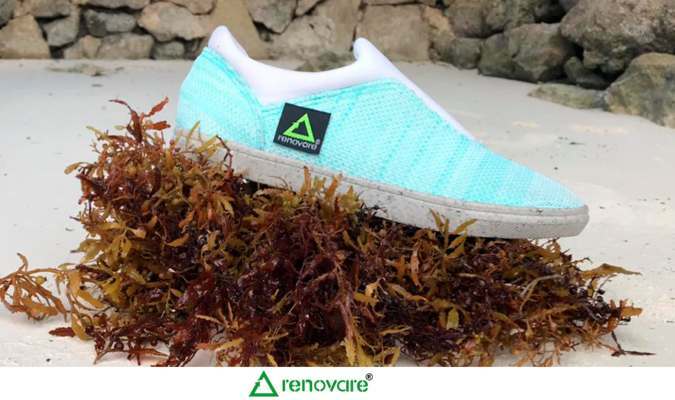 Update: April 1, 2019: Mexican designers have come up with a unique way to recycle sargassum — by transforming it into shoes. Eco-company Renovare designed stylish, water-resistant shoes (above) that can last up to two years, and then be returned to them to be recycled. Yet to hit the market, the company are now looking to hire 150 people to create 20,000 shoes a month, say Mexico News Daily. 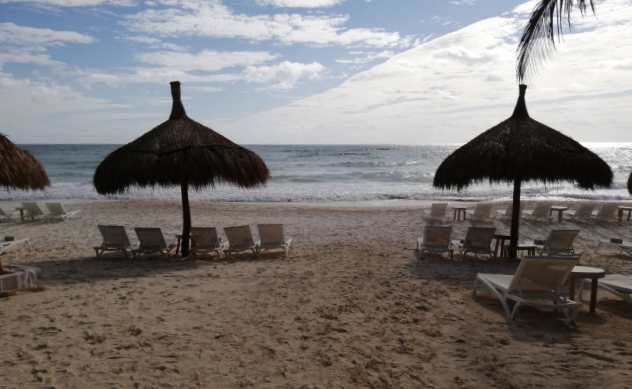 Update March 12, 2019: The National Autonomous University of Mexico (UNAM) and the Secretariat of Environment and Natural Resources (Semarnat) have joined forces to tackle sargassum in Mexico. 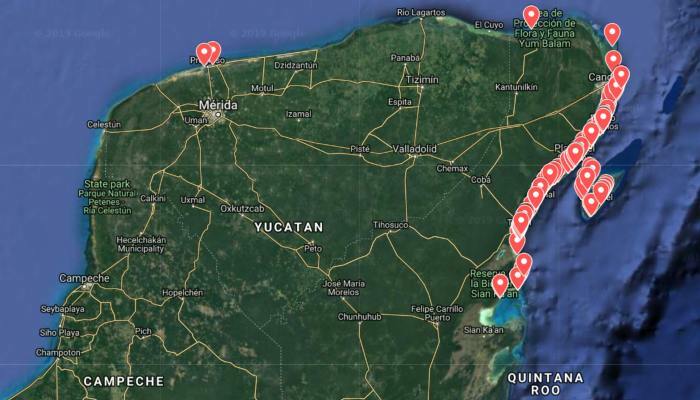 This will include plans to create a medium- and long-term strategies to stop the seaweed reaching the beaches, according to The Yucatan Times. We are constantly in touch with our closest hotel partners to monitor the situation and have real-time updates about any issues, sargassum and otherwise. In regards specifically to the seaweed, we have been rating the hotels’ beaches weekly on a scale from 1-10 (1 being very little, 10 a lot) and on average viewing them at a 3. Now, this, of course, can change slightly day-to-day or hotel to hotel, but the main hotels we work with (Rosewood, Le Revé, Banyan Tree Mayakoba, Belmond Maroma, Coral, Ana y Jose, Jashita, Be Tulum & Esencia) make a terrific effort to keep their beaches clean on a daily basis. Since the problem started, we have not had any complaints from our travelers and re-iterate that the hotels continue with an intensive cleaning program. One thing worth emphasizing is that the situation, while we believe has been considerably improved over the months, can vary. Just recently we had some unexpected rain which did increase the presence of sargassum on the beach. However, moving into winter, we are leaving the summer’s rainy season and therefore anticipate the problem to continue to dissipate. If travelers continue to have any concerns about their upcoming vacation at a certain hotel outside of the ones we work with/report on, we suggest reaching out to them via social media or e-mail to inquire if they have a beach cleaning program in place and real-time photos they can share. 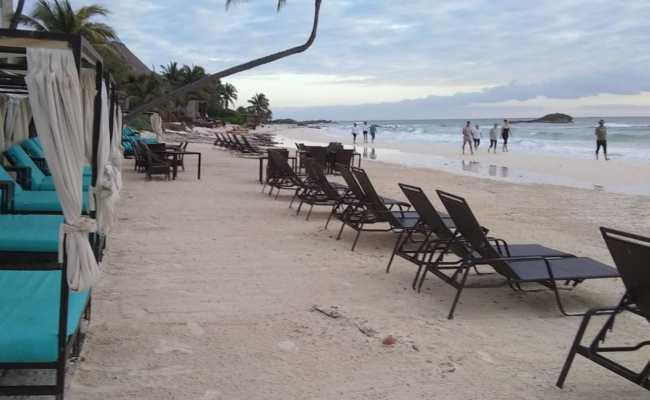 Update October 23, 2015: In communication with partner hotels in Tulum, they share that the problem has been less frequent and that the currents and weather changes have helped clear the beach. They are optimistic as holiday, high season is just around the corner but continue to monitor the situation and rake the beach whenever necessary. Update October 15, 2015: H. Barber & Sons and CDO Innov, two equipment companies leading in beach-cleaning and manufacturing for environmental use respectively have been called to Mexico to help control the sargassum issue. H. Barber & Sons are responsible for introducing 50 SurfRakes that are now in operation along the Mexican-Caribbean Coast. The SurfRakes enable the pick up 95% of the sargassum and leave wet sand behind so the beaches do not erode. Some large resorts have invested in a SurfRake for exclusive hotel use while others have been bought by contractors hired to clean up the beaches. Update October 1, 2015: Journey Mexico’s Cancun office reports that the situation in Cancun has been improving a lot. They confirm things are getting better and hopefully everything will be back to normal soon. As our staff conducts hotel inspections regularly, it is most accurate to report the situation in Riviera Maya, and Tulum does fluctuate greatly from day to day and from hotel to hotel. 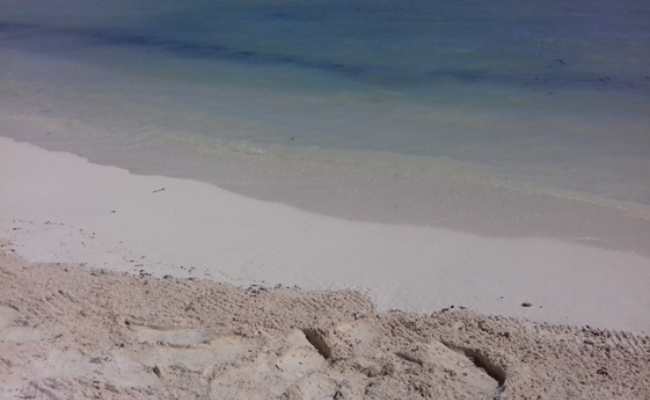 The water in some areas along the Riviera Maya continues to be cloudy but its now standard to see the hotels and staff work around the clock to try and pick up the sargassum throughout the day. Update August 18, 2015: The innovative concept to prevent seaweed from reaching beaches using nets has produced positive results. By using the nets, up to 80 percent of the sargassum is caught before reaching hotel beaches. Not all beaches have implemented this system as there is concern about disturbing nesting turtles and other sea life. While not entirely effective, it has helped to keep some beaches clear of seaweed for tourists. Read more: Sea Nets Catching Sargasso, Clearing the Way for Tourists. Update August 8, 2015: Government officials plan to place mesh nets over a two kilometer stretch of Tulum beach. Once caught in the mesh, the Sargasso seaweed is then picked up by boats and returned in the sea current that is directed toward the Yucatan Channel. Read more: Mexican Authorities Finding Permanent Solution to Sargasso Problem. Update August 5, 2015: Mexican authorities say they will spend about $9.1 million and hire 4,600 temporary workers to clean up mounds of seaweed that have accumulated along the coast. The seaweed removal will cover Holbox in the north through Cancun, Isla Mujeres, Playa de Carmen, Cozumel, Akumal, Tulum and as far south as Mahahual. Read more: Mexico to Spend $9.1 Million on Seaweed Cleanup. Many thanks as we are now reconsidering our travel options back to mexico and the Mayan Riviera. Yes thank you for this information – I could not find easily whether it had improved this fall as expected or not. So feeling better about traveling there for the fall/winter. Yes! We’ve updated our post with you with a focus on Tulum 🙂 Hope it helps! We are thinking to book Riviera Maya over the Thansgiving. Is the seaweed problem still an issue? We appreciate any update on Moon Golf Palace and Spa in Cancun. We have planned a college reunion from Dec 1 to 8 there. Thanks. We are sheduled to travel on Nonvember 14th to the Grand Park Royal Caribe Cancun. I would appreciate any input on conditions on the beach. I was thinking of booking a week’s vacation at the hotel El Cid. Wondering what the beach is like because it has received very bad reviews about the seaweed problem and the inability to clear it by man. I’m in tulum right now. I’ve been told.the situation in much better than before, but if you expect turquoise water and white beaches you’ll be disappointed. The sea has still A LOT of seaweed and close to the shore is brownish, rather than blueish. They rake the beach, sure and make some nice little smelly mounds few meters away. Where you in Tulum specifically? What hotel? Thanks! wondered how the seaweed is at secrets Akumal and secrets Maroma beach. Going in feb 2016. I would suggest going elsewhere. The water is brown and smells awful. Hi Linda, we suggest contacting your hotel directly to see their current status, keeping in mind that it changes daily! I’m sure no matter what, you will have a lovely vacation! Safe travels! Wondering how the beach and water are in Akumal bay, at Villas Maya and Club Akumal Caribe–the original resort area there. Thanks! We are traveling to the Valentin Imperial in the next month. Are there any reports on the beaches there, in specific? I’ll be there in March…would love to know about the status of their beach..I know they have implemented a tractor removal twice daily for the seaweed…however recent pictures ive seen (Dec 2015) of the beach look beautiful. Thank you for updating potential visitors on this seaweed situation. Can you tell us about the situation in January? Do you think that all the actions put in place since last summer will be in full effect and therefore there should not be any seaweed on the shores of Tulum during December January and beyond? Any word on the conditions at the Royalton Riviera Cancun Resort? Thanks! Any seaweed reports on Maroma lately? Planning to go there in June. Hi Austin, our update remains the same from Maroma. As mentioned, things change on a daily basis so won’t be able to forcast out till June. Maroma has implemented intensive cleaning procedures so I’m sure you’re vacation will be just perfect! We haven’t received any negative comments from our guests at Maroma. The hotels can clean the beaches but the seaweed still makes the water very unpleasant. If one doesn’t want to go into the water, you may be happy with the beach cleaning efforts. Thanks for the useful information. I’ve been here since Sat 5th and Playa Paraiso (Tulum) and Akumal had been mostly clear thus far. Not sure about yesterday, but today Playa Paraiso and Ziggy beach (both in Tulum) are filled with Sargassum. It did not rain at all during the week, so could not have been the rain that caused it. Hi Joana, thanks for the update! Yes, things change on a daily basis, crazy how fast it happens! 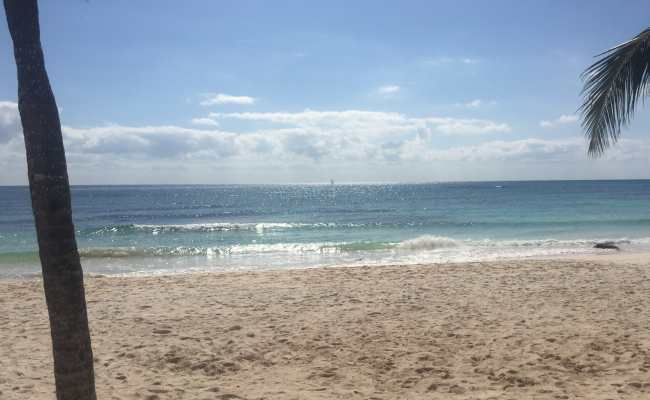 Hopefully it will get cleaned up soon so you can return to enjoying the beaches of the Riviera Maya! I just booked a vacation for a once a year get away at Dreams Tulum January 19th-25th. The beach is the most important part of my experience during vacation. Dreams assured me that they clean daily, conditions are clear, etc. prior to my booking but I’m sure they have a vested interest in my booking and not scaring us away with tales of murky waters and seaweed. I found this page to be the most helpful in guiding me through the seaweed. Please keep it honest… Any updates on that area would be most appreciated!!! I’ll be there from the 14th – 18th. I’ll try to remember to post an update for you. As of right yesterday, I heard from someone else that it stinks like raw sewage and staying poolside is best. Any info on the Valentin Imperial Maya…?? Any update about seaweed in Cancun or Riviera Maya please. I have a plan to go there in last week of January 2016. How is it at Grand Sunset Princess? How about Play de Carmen? Hi Michael, we suggest reaching out to the hotel via social media or e-mail to inquire if they have a beach cleaning program in place and real-time photos they can share. 12/25 – Report from Tulum. Beach in all areas 3/4 covered with seaweed. Up near the public access, there is a small mountain (looks like a landfill) of the stuff that they have piled up. Water is full of the stuff. We were here a year ago, if anything, it is a bit worse. We will be in Pusrtto Morelos in a few days and will report back. A bummer. Sad for the area. Hi Bob, thanks for sharing your experience. Can you please be specific in where you were in Tulum and from which hotel? The situation varies daily and also from hotel to hotel/beach to beach. Thank you! I just returned from visiting both RIU Cancun and Secrets Maroma. RIU had no seaweed along with most of Cancun I believe. Secrets Maroma had minimal. Didnt stop us from going in ocean. They cleaned daily. A couple days were pretty clean and other days had seaweed but not bad. Varies daily so expect to see seaweed and don’t let is stop you from visiting! Water was still beautiful green/blue. Got to Dreams Riviera Cancun in mid February. Hope things are looking better by then! Anyone been there recently? Any updates on hideaway at royalton riviera cancun? Great to receive these updates, heading down in February. We were in Tulum last year and areas were just fine, others parts were hit hard, but efforts made to continually clean the beach. We were in Playa Secreto/Puerto Morelos area over holidays and didn’t even want to go in the ocean there was so much seaweed. Smell was ok, and vacation was still wonderful, but disappointing none the less. We want to book a trip in med April, any thoughts on the lovely seaweed to be cleared by then? heading to capri secrets riviera jan 30-feb 6. any information on weed problem there? will be helpful, thanks. We are going to the finest isla mujeres. Does anybody know if the beach is affected . We are going middle of March2016. Updates in the beaches at Puerto Morelos? I see there hasn’t been a seaweed update for Tulum/Playa del Carmen in quite a while. In general how are things? I am planning Tulum next month but noticed last summer in both Playa and Tulum that they are not nearly as equipped to handle the massive seaweed cleanup as in Cancun for example. Any updates on seaweed proliferation and/or new cleanup efforts in these areas would be greatly appreciated. Last summer was miserable not being able to even get in the water, not to mention the smell. Hi Meredith, in general, things remain the same from our last update and we have seen no major changes or influx. From Cancun to Tulum, the region has made great efforts in cleanup. This is great information. Thanks for taking the time and being so detailed with your facts. I’m considering having my wedding at the Now Jade in Riviera Maya in November 2016. Any information on whether or not they’re actively cleaning their beach? There is some great information here! I am planning a holiday to Now Sapphire Riviera in November 2016 but am now concerned to read about the seaweed problems. Do you know what the beach is like in this area now or predictions for November this year? Is it likely to reoccur? we are coming to Playa del Carmen march 21. Please let us know where in the following places there is NO seaweed and is best for swimming with children terrified of seaweed. Thanks. Hi, thanks so much for this great information. We are traveling to Tulum on March 29 for a week (staying at Ahau Tulum). 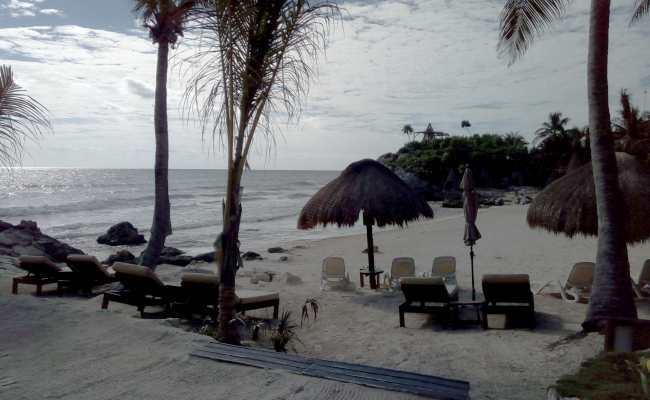 Do you have any recent updates on the seaweed situation in Tulum or near Ahau specifically? I am also checking with the hotel manager. Does anyone know if they installed those nets yet to avoid the sargassum coming to the beach? My family and I are trying to plan a trip to either Cancun or Playa Del Carmen for the end of May. This will be our first time vacationing in that area. We’re going for the white sand beach and clear blue water, however I heard about the seaweed problem and I’m now hesitant to make a reservation. Are there any updates on the current situation?